Is there any paperwork or document for the mechanical systems of 360 Stone Rd, Aurora, Ontario? I need more information about the property at 360 Stone Rd, Aurora, Ontario. How ist the neighborhood, location and nearby amenities for 360 Stone Rd, Aurora, Ontario? I have questions about the roof, foundation, insulations and mechanical issues of 360 Stone Rd, Aurora, Ontario? I need more information about property details. What's wrong with this house? Is this a short sale? Is there any maintenance for 360 Stone Rd, Aurora, Ontario? What is this property worth in today's market? What are "closing costs", and how much? What steps should I take when looking for a home loan? What price home can I afford? Is my credit good enough to buy this house? What are the best mortgage options for me? How flexible is the seller on the asking price? 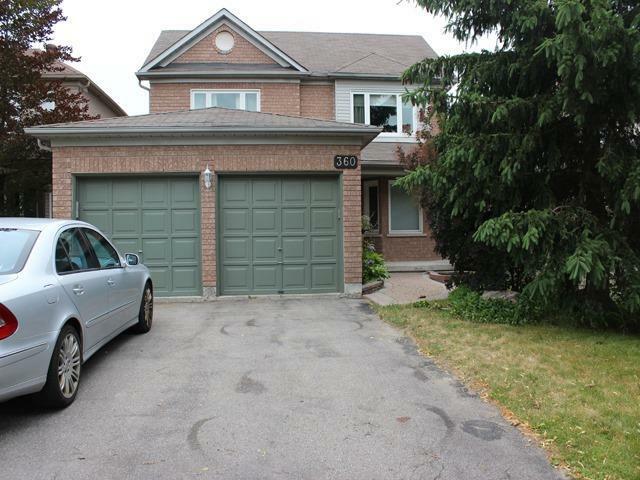 How low can I consider offering for 360 Stone Rd, Aurora, Ontario? Sunny, Spacious And Well Maintained In Prestigious Aurora Grove; Cathedral Ceiling In Family Room With Double Sided Fireplace, Open Concept Kitchen, Main Floor Laundry Access Directly To Garage, South Facing Back Yard With Deck And Stairs To Ravine Likely Garden, Master En-Suite Washroom With Skylight; Steps To Parks And Schools, Minutes Driving To Highway, Community Centre, Library; Great Schools Schools. Use Of Fridge, Stove, Dishwasher, Washer&Dryer, New Ac, Newer Furnace, All Curtains, All Elfs. Non Smokers, Prefer No Pet. Tenant Responsible For All Utilities, Water Tank Rent, Grass Cutting & Snow Removal.